The Pakar Grandstand structure comprises a system of frames welded with interlocking system, ties, braces, beam & deck units that lock together to form a quick erect, structural support system. 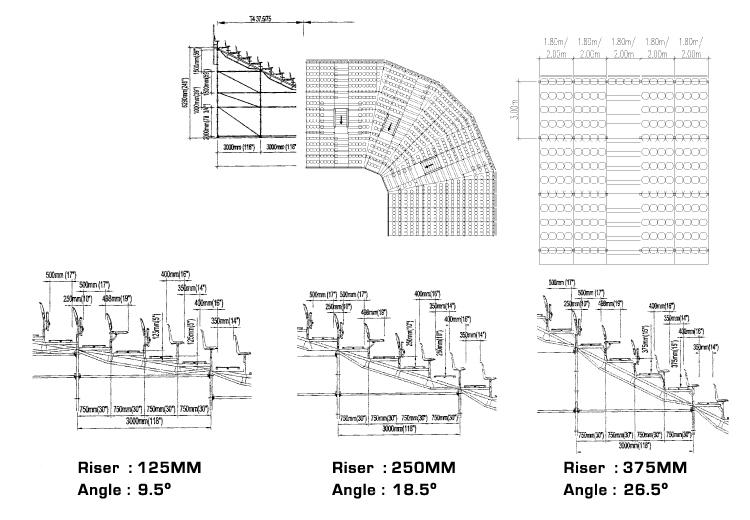 Frames with height of 1.00m are linked together to provide a support structure that have a slope of 250mm rise unto which the deck units are installed to provide a continuous terraced surface. 125mm, 375mm rise are also available. Seat Units and balustrade units are fixed to the terraced decks to provide a safe secure interlocking seating area. Permanent Grandstand - Temporary Grandstands - Stadium Grandstands - Pakar Seating | Pakar Seating © 2019 .